Weather background: heavy rain for the past two days clearing this morning. Gear: G-Loomis IMX-S841-2, Shimano Sustain 1000, 4lb fireline, 4lb Sunline Super FC sniper leader, FG knot for leader, loop knot onto lure. I just managed to catch the last hour of light today and it was absolutely beautiful. 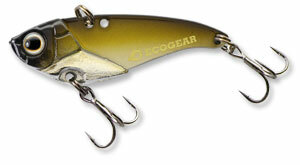 I started out throwing the Ecogear VX40 (435). This is the first time I’ve used this lure and I love it! It casts like a bullet especially on the light line. It wasn’t long before I was onto a nice little flathead that gave plenty of head shakes on its way to the net. Soon after I was into a nice little 23cm bream that fought well above its weight. The retrieve action that worked best on the VX40 was small little jerks just enough to let the lure flick of the bottom with a few vibes, like a small injured fish, followed by a pause. It’s not unusual to get hit while the lure is sitting still on the bottom or on the first twitch after a long pause. After a visit from some black swans (see the video below) it was getting close to dark so I switch to my favorite lure, the Ecogear SX40 in red and black colour (348). Today I had the most success using the slowest most delicate retrieval ever. A very slow roll with a few twitches and LOTS of long pauses. On some pauses I could feel bream nibbling on the hooks. I picked up two bream and dropped one other using this technique. One small 19cm and a great fat 33cm bream with a high back and a really thick body. This bream gave me plenty of stick with some solid runs making the light line scream off the real before it slipped into my net as the light was dwindling. It’s really nice to see solid healthy bream taking lures in the lake at this time of year. All fish were successfully released. All-in-all it was a great little fish today. Four nice fish in just over an hour only a week out from winter. The water temperature had definitely dropped today and I don’t think it will be long until things slow down over winter. It might be time to break out the ultra-finesse gear soon, 2lb fluorocarbon straight through. Ridiculously light but so much fun!